Trying to find a good cardiologist resume example? In the following article we have listed a sample for cardiologists CV’s and also some advice and tips for the job interview. You can read and download the sample, and start writing your professional resume. To continue my career as a Cardiologist at a topnotch facility considered as one of the world’s leading cardiology hospitals and to devote my skills in the treatment of patients with cardiovascular disorders. 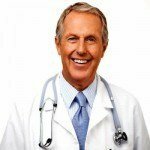 Since you now have an idea of what cardiologist resume examples looks like by browsing through the site’s collection, it is time to make the necessary preparations for you to pass that interview with flying colors. Below are some tips on how to do well on your job interview. Do you have any idea how many resumes pass under the noses of human resources personnel? Heaps of them! For this reason, you need to write a cardiologist CV that will stand out among the competition. You need to research on the medical center you are targeting as well as the position you want. This will not only allow you to highlight the qualifications that are required for the job, but it will also equip you with the most basic facts about your potential employer. Furthermore, you will need to study your resume, particularly the details of your previous work experiences. What inspired you to pick Cardiology as your specialization? What is it about this facility that motivated you to apply for a job here? What medication/s do you usually prescribe for the most common heart ailments? What surgical interventions are you particularly competent at? Have you lost a patient on the operating table? Describe the case. Describe an especially hard case to diagnose. What was the outcome of that situation? 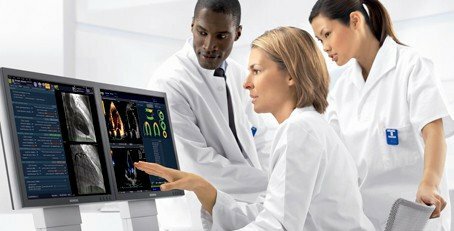 Do you have the latest equipment and facilities for the diagnosis and treatment of cardiovascular conditions? What is the typical workload like at this facility? How do you measure performance of your employees? How do you ensure that high quality care is being administered to the patients? Dress appropriately with a business suit. Never be late for an interview; nothing reeks of unprofessionalism than being late for an appointment. Upon entering the interviewer’s office, greet him or her courteously and take your seat only after the interviewer has offered it. Maintain eye contact, and be mindful of your body language. After the interview ends, remember to express gratitude for the time and the opportunity to apply. Throughout the whole process, exude just the right amount of confidence – not too anxious or cocky. If this Cardiologist resume example wasn’t sufficient for you, you are free to review some other samples and templates from our site. Browse to some related resumes below and find your inspiration.